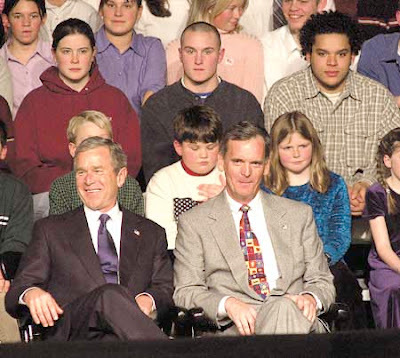 Obama has chosen another Bush loyalist for his cabinet. Republican Sen. Judd Gregg from New Hampshire is Obama's pick to run the Commerce Department after his first nominee, Gov. Bill Richardson of New Mexico, had to withdraw his name due to a criminal investigation over a pay-t0-play scandal. Sen. Gregg is a well known conservative who has long been an advocate of "reigning in" the entitlement programs like Medicaid and Social Security. Sen. Gregg has been opposed to Obama's economic stimulus package in the Senate because it does not have enough corporate tax cuts and is a major proponent of "free trade". As Secretary of Commerce Gregg would have responsibility to oversee the International Trade Administration whose job is to "ensure fair trade and compliance with trade laws and agreements." About the effort to attack the entitlement programs, the Washington Post reports, "Key senators in both parties are backing a plan put forward by [Sen. Kent] Conrad (D-N.D.) and the Budget Committee's senior Republican, Sen. Judd Gregg (N.H.), that would create a task force of lawmakers and administration officials. The task force would wrestle with the details of Social Security, Medicaid, Medicare and the tax code, and deliver a reform plan to Congress for a vote later this year. "Under the proposal, the task force's recommendations could not be amended; the House and Senate would be required to accept or reject them without changes or additions, similar to the process lawmakers use to close military bases." A few, with emphasis on the word few, have said that Obama has made a shrewd move by appointing Sen. Gregg because the Democratic Governor of New Hampshire will now be able to appoint Gregg's successor and he could put a Democrat in the seat thus giving the Senate a 60-seat Democratic filibuster proof majority. But this argument holds no water as Gregg made it a condition of his taking the Commerce Department job that the New Hampshire Governor had to appoint a Republican to take the open seat. So all you get is the third Republican in Obama's cabinet with no real change in the structure of the Senate. Is this the change that people worked so hard and voted for? I don't think so. On some blogs I have found quite a bit of anger about the Obama decision to put Sen. Gregg into his cabinet. At one site, called Open Left, one person wrote, "It is especially galling for activists here in New England....we faithfully march up to New Hampshire during election season....make the calls (and go door-to-door) asking for Democratic support all along the ballot and then Gov. Lynch [N.H. governor] and Obama do this.... who do you think makes the most dependable phone bankers? Union people. Often chartering buses, getting the halls and phones for the phone banking effort. This is a slap in the face with the extra added sentence 'and what are you going to do about it' thrown in to really make it sting." Another offended soul wrote, "It is almost as though we believed the right wing when they said over and over during the campaign that Obama was America's Most Liberal Senator, and now we're surprised to find out that it wasn't really true." With each day we are finding that the Obama hope ship is sinking fast into the murky corporate waters of Washington DC. His promise not to allow lobbyists to become part of his "clean administration" has been betrayed as the new president issued 17 waivers on his own rule in less than two weeks. Who is being fooled by all of this? Are you? Sadly we are hearing that many Obama supporters still find it hard to reflect deeply on the mounting evidence that "change" really means "more of the same". This time around the same-old-song will be delivered by someone who is articulate and can effectively sell the corporate dominated government to a sadly spiritless American people.